It doesn’t matter whether you’re 5, 25, or 55, bubble wrap is absolutely irresistible. When a package comes in the mail, part of you is always elated to see those big plastic blisters of popping bliss inside. Why? Because fun knows know age. 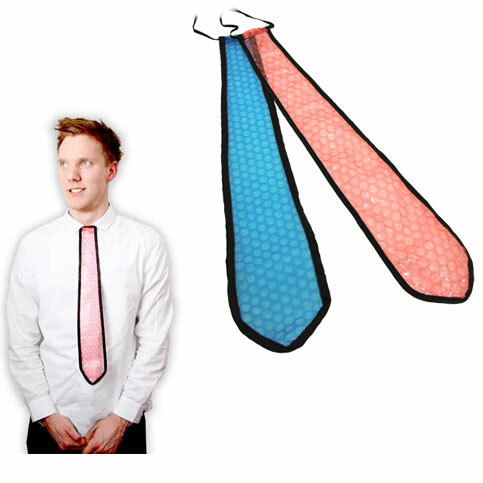 Unfortunately, as you grow up, more and more formal occasions and – gulp – work often require ties which are no fun at all. 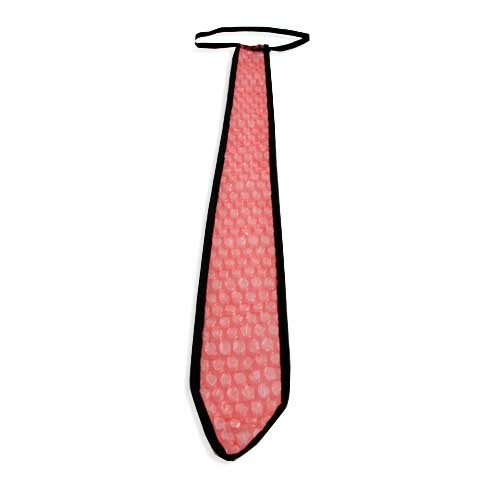 Unless, of course, you chuck those designer silk nooses for these party popping Bubble Wrap Ties! 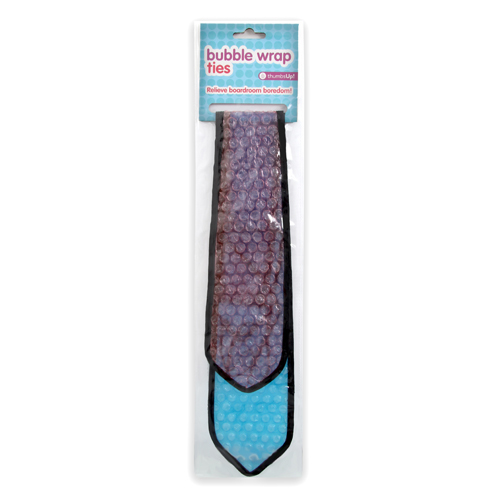 Fun and formal, Bubble Wrap Ties are every guy’s dream. They’re sure to be “pop”ular wherever he goes because no one can resist the gravitational pull of bubble wrap. And, as if the fact that their elastic bands means no wasted time trying to figure out how to tie them. They come in packs of two – one red and one blue! Why do we love them? BUBBLE WRAP!!!!!! It’s like taking everything you ever loved about childhood and putting it into a tie for your endless enjoyment during the workday. Even your coworkers won’t be able to keep their hands off your tie, so keep a lawyer on call just in case.